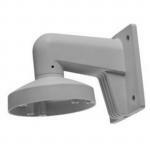 "Work really well, easy to install and configure. 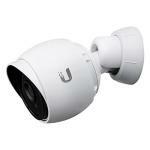 We use in combination with Unifi POE switch." Hilook, as Hikvision's offshoot brand, devotes to provide very cost-effective, easy-to-use and reliable security surveillance products and services. 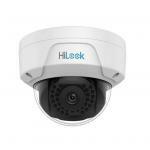 Hilook is the best choice for you to build up reliable surveillance system with limited budget. According to IHS report, Hikvision has topped the list as the world's largest supplier of CCTV & Video Surveillance Equipment for six consecutive years (2011-2016). 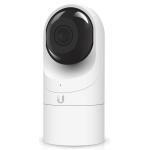 - Advanced 4.0MP Image Sensor produce 2K HD resolution video to present more details in your security footage. 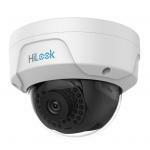 IPC-D140H IP security camera uses DNR (Digital Noise Reduction) technology to filter out noise and enhance HD image at night. H265+ greatly reduces bandwidth and storage. Work really well, easy to install and configure. We use in combination with Unifi POE switch.Work really well, easy to install and configure. We use in combination with Unifi POE switch. CCTHLK0041 HIKVISION DS-1272ZJ-110 Wall Mounting Bracket for IPC-D120H, IPC-D140H 4 $37.00 +GST$42.55 inc.
CCTHIW0044 HiLook Aluminum Alloy DS-1280ZJ-DM21 Junction Box for IPC-D140H (White) 1 $29.00 +GST$33.35 inc.
CCTHIW0045 HiLook Aluminum Alloy DS-1281ZJ-DM23 In-Celling Mount for IPC-D140H (White) 6 $29.00 +GST$33.35 inc.